Hello, my name is Gavin and I am your local therapist for Bark Busters Home Dog Training Doncaster area. 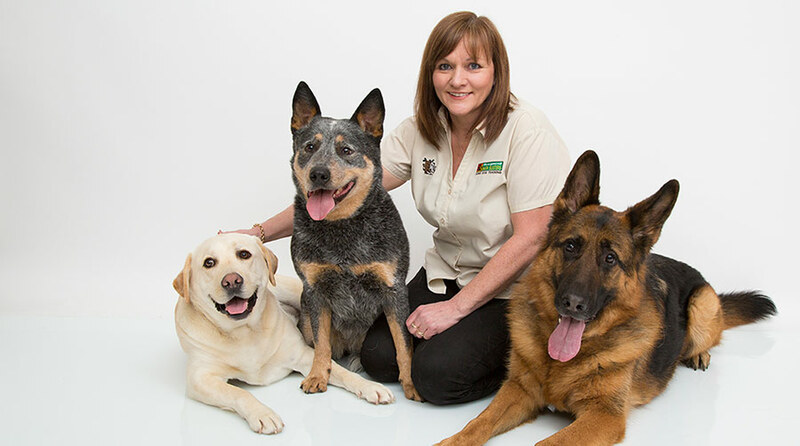 Thanks for taking the time to visit my page, and find out more about me, my services, and how I can help you get your dog’s behaviour under control. I am a dog lover and owner myself; Lottie and Pippa are my two Springer Spaniels who keep me active. I love being outdoors with my dogs and enjoying the beautiful local countryside. As a dog trainer I love to take any opportunity to practise and improve my training techniques, and Lottie and Pippa are always willing candidates for learning new skills and winning my praise. I love meeting and teaching people around the Doncaster area. 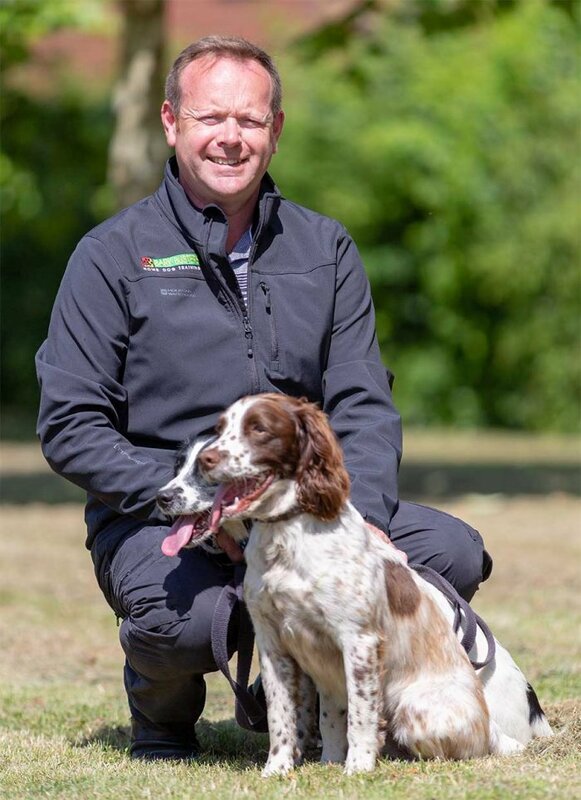 My background is in training and development, so I'm confident that all the dog owners I help benefit greatly from a training plan that is tailored to both owner and their dog. People need to feel that they have been set manageable and achievable goals and this is what I do. With the Bark Busters communication techniques, I will show you how to train your dog and how to build upon, or rebuild, your relationship so that you can enjoy your lives together. Whether it is pulling on the lead, aggression, toileting, barking, digging up the garden, chewing the furniture, separation anxiety, sibling rivalry, poor recall, or any other behaviour that is causing you stress, I will come to your home and put in place a personalised training plan to help you get back on track. My training is done in the homes of dog owners, in and around the Doncaster area, because it is a stress-free environment for your dog and where both you and your dog are most relaxed. It is where the bad behaviour starts, and it is a private lesson where you don’t have to worry about other people or dogs. The training is done at your pace and we move on when you and your dog are ready. In addition, I will leave you with written advice and instruction to help you continue the training after I have left you, together with information handouts. My return visits are free of charge and I am available to support you by telephone or email in between visits if you need me to, and my written support guarantee means that you can be confident that I will continue to support you for the term you have purchased, so you can relax knowing that I am always available for more help. I can also help you to get off to the right start with puppy training, including toilet training, how to play, crate training if required, then moving on to walking nicely on the lead, and recalling when out and about. My communication methods are fast acting, long lasting and rely on voice tone and body language. There are lots of opportunities for you to praise and reward your dog when he/she is doing well, and this means that your dog will enjoy their training too. They will also appreciate your new-found confidence, consistency and leadership as they learn to relax more, giving you the opportunity to put an end to the unwanted behaviours that were causing so much stress. If you would like me to help you towards a well-behaved dog, please do call on 0808 100 4071 or click the red button above, where one of the team will contact you with details of my services and prices. There’s no obligation or pressure to book, but I hope that you will as I would love to meet you and your dog very soon. You can also visit my Facebook Page: https://www.facebook.com/Bark-Busters-Sheffield-and-Worksop-199247727362754/ for lots of useful dog-related news, stories and information. Gavin spent a lot of time with us explaining about communication and passive leadership, lead work and nutrition etc which helped me understand Willow's behaviour better.